Birthplace : Holmesville, Ohio, U.S.
Emma Carr was one of the most renowned chemical educators of the first half of the twentieth century. She was known not only for the chemistry program she established at Mount Holyoke College, which became a model for group research, but also for her groundbreaking work on the structure of unsaturated hydrocarbons. Employing absorption spectroscopy and later, far ultraviolet vacuum spectroscopy, Carr and her faculty and student collaborators made significant contributions to the understanding of the make-up of certain organic compounds. Carr was the first recipient of the Francis Garvan Medal to honor an outstanding woman in American chemistry. In addition to her research and teaching skills, she also proved to be a formidable administrator, making Mount Holyoke College one of the premier chemistry schools in the nation at the time. At her instigation, Mount Holyoke became one of the first institutions in the United States to use ultraviolet spectrophotometry to illuminate the structure of complex organic molecules. Emma Perry Carr was born on July 23, 1880, in Holmesville, Ohio, the third of five children to Anna Mary (Jack) and Edmund Cone Carr. Her father and grandfather were both highly respected doctors, as was her brother. Carr was to follow in this scientific tradition. Her mother was a devout Methodist, active in church and community affairs. This also heavily influenced the young Carr. Raised in Coshocton, Ohio, and dubbed "Emmy the smart one" in high school, Carr went on to Ohio State University for her freshman year in college, one of very few women attending that institution in 1898. There she studied chemistry with William McPherson, but decided at the end of her freshman year to transfer to Mount Holyoke College in South Hadley, Massachusetts. After successfully completing two years of college, she worked as an assistant in the Mount Holyoke chemistry department for three years. Carr then completed her B.S. degree at the University of Chicago in 1905. Thereafter, she returned to Mount Holyoke to teach for another three years until taking up graduate studies in 1908. During her graduate studies in physical chemistry at the University of Chicago, she received the Mary E. Woolley and the Lowenthal fellowships. She worked and studied with Alexander Smith and Julius Stieglitz, the latter being her primary advisor in her Ph.D. work on aliphatic imido esters. 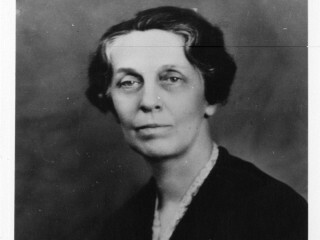 Carr was only the seventh woman to be awarded a doctorate from the University of Chicago. The name of Emma Carr and Mount Holyoke College are indelibly connected. It was at that institution where she did her major work and it was that institution which benefited so greatly from her teaching and administrative skills. Returning there to teach in 1910, she was made full professor and head of the Department of Chemistry in 1913. She retained that position until her retirement in 1946. Under her guidance, the chemistry department became one of the strongest at Mount Holyoke and one of the most important in the country. Though a liberal arts institution, Mount Holyoke had a strong science tradition from the time of its founding by Mary Lyons in 1837. Lyons herself taught chemistry, and subsequent directors of the college continued this emphasis. Carr, however, attracted top-notch instructors to the program such as Dorothy Hahn and Louisa Stephenson, establishing a curriculum every bit as challenging as those found at Ivy League schools. Known as a charismatic teacher, Carr was intimately involved with her students, and was a staunch believer in having the best instructors teach introductory courses so as to interest young students in the sciences. Moreover, she involved her students in active research, developing important research projects for the college to pursue. From her survey of the literature, Carr came to see that British and European researchers were increasingly intrigued with the relationship between ultraviolet absorption spectra and the electronic configurations of organic molecules. Carr had been searching for some manner in which she could apply physical chemistry to organic problems, and this seemed the perfect project, for very little research on the subject was being conducted in North America at the time. In 1913 she initiated work on the project, working with Hahn to synthesize hydrocarbons. Students also participated in the research project as part of their hands-on training, an innovative approach then. These organic compounds were subsequently analyzed, using a Fery spectrograph that Carr had persuaded the college to purchase. Initial research results, published in 1918 under the title of "The Absorption Spectra of Some Derivatives of Cyclopropane," established the college as a research institution of note and solidified research in the educational curriculum. To gain further knowledge of spectroscopic techniques, Carr studied at Queen's University, Belfast, Northern Ireland, in 1919. These studies, and her expertise in spectroscopy, led to an invitation in 1925 to participate in the preparation of the International Critical Tables (ITC), an authoritative compilation of chemical data, including spectroscopic information. Carr traveled to Europe in 1925, taking a 12-month leave to complete her work on this project in the laboratories of two co-compilers, Jean Becquerel of the College de France in Paris and Victor Henri of the University of Zurich. Carr returned to Zurich after receiving the Alice Freeman Palmer Fellowship to study vacuum spectroscopy with Henri in 1929. Carr and her research colleagues began to understand limitations to their work by the late 1920s. Specifically, they could not answer why certain molecular atomic groups absorbed some wavelengths of light, nor could they explain what mechanics were at play within the molecule when such light was absorbed. To answer these questions, Carr determined that simpler molecules with fewer variables needed to be studied. Again, undergraduates, graduate students, and professors teamed up in 1930 to prepare highly purified hydrocarbons with known positions of the carbon-carbon double bond in the molecule. These then were employed in the measurement of the absorption spectra in the far ultraviolet spectrum, employing vacuum spectroscopic techniques Carr had learned in Europe. Funds from the National Research Council aided in this research which shed new light on the spectra of aliphatic hydrocarbons, or those organic compounds in which the carbon atoms form open chains, especially the olefins. Carr and her students used these techniques to attempt to understand the causes of selective absorption of radiant energy in these simple structures. While Carr's theories on the spectral absorption and heats of combustion of hydrocarbons did not gain widespread acceptance, her work with vacuum spectrographic analysis of purified hydrocarbons altered the understanding of the carbon-carbon double bond and also resulted in a better theoretical understanding of energy relationships in ehtylenic unsaturation. Carr's further work on this project, partly funded by the National Science Foundation and the Rockefeller Foundation, continued throughout the 1930s and into the 1940s and had lasting import, especially for the petroleum industry. Her research was later expanded upon by the Nobel laureate, Robert S. Mulliken, in developing theories about energy relationships in organic compounds. Carr continued to live in college dorms until 1935, when she and another researcher at Mount Holyoke, Mary L. Sherrill, began sharing a house on campus. Internationally recognized as a first class researcher, Carr continued to maintain close contact with her students, putting as much emphasis on the classroom as the lab. In 1937, she was awarded the first Francis Garvan Medal by the American Chemical Society to honor an outstanding woman in American chemistry. As part of the selection committee, she was embarrassed to find herself nominated while absent from one of the meetings. During the Second World War, Carr and her students worked on a project to synthesize quinine. Though there were many near misses, her team was unable to come up with a successful synthetic form of the anti-malaria drug. In 1944, she gave a series of seminars at the fledgling Institute of Chemistry in Mexico City. Honorary degrees were conferred on Carr from Allegheny College in 1939, from Russell Sage College in 1941, and from Mount Holyoke in 1952. Though she retired in 1946, Carr's professional life was far from over. She continued to speak at colleges and clubs well into her seventies, promoting the scientific ethos as well as her beloved baseball. In 1957, she shared the James Flack Norris Award for outstanding achievement in the teaching of chemistry with her friend and collaborator, Sherrill. When Sherrill retired in 1954, the two traveled extensively. A lover of music, Carr played the organ in the Methodist Church and also played the cello until arthritis forced her to become a listener rather than player. With failing health, Carr had to leave Mount Holyoke, moving to the Presbyterian Home in Evanston, Illinois, where she died on January 7, 1972 of heart failure. It is a lasting tribute to this renowned woman of science that the chemistry building at Mount Holyoke College bears her name. View the full website biography of Emma Carr.